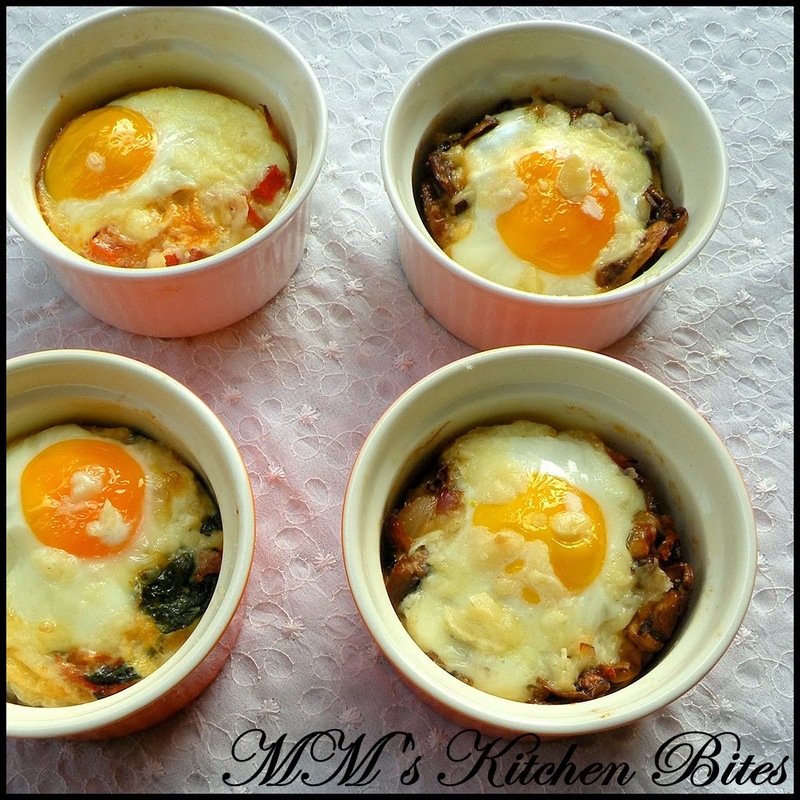 MM's Kitchen Bites: Baked Eggs – 4 ways...Monday blues...nah!! Monday Funday!! Baked Eggs – 4 ways...Monday blues...nah!! Monday Funday!! Heat oil/butter on medium heat and sauté the fillings lightly. Grease the ramekin or baking dish. Fill it halfway with the veggie fillings you have prepared. Top it with a little cheese. Make a slight indent in the centre of the filling with the back of a spoon and break the eggs into it. Add a pinch of salt and pepper on top, followed by a little more cheese. Spoon 1 tablespoon milk or cream on top of the egg to prevent drying out – do not stir. Transfer the ramekins to a baking sheet and then into the preheated oven. Eat as is or with buttered toast…and now you are ready to face the world on a Monday…go, go, go and conquer it!! !